and LOTS of other Costa Rica related Info and Photo Sites - places where I’m Gathering/Sharing Info and Photos and helping to Connect people!!! 30,000+ Page Views a Month and OFTEN towards the top of MANY Google Searches! A VERY HELPFUL Information Site on where to find things (often with English-speaking contacts), what’s happening, SPECIALS, news, thoughts, experiences+++!! The focus is on actual DETAILS and to bring more EASE into YOUR Life!! Events, finds, YOUR experiences/stories, news, etc. to add? Has the site helped bring you ease or joy? where I’ve lived for 7 years and LOVE IT!!! Trust me - Escazu is NOT NOT NOT just gringos!! You CAN have a GREAT balance of gringo and Tico life with a huge variety of prices for accommodations and restaurants - IF you know where to look!! 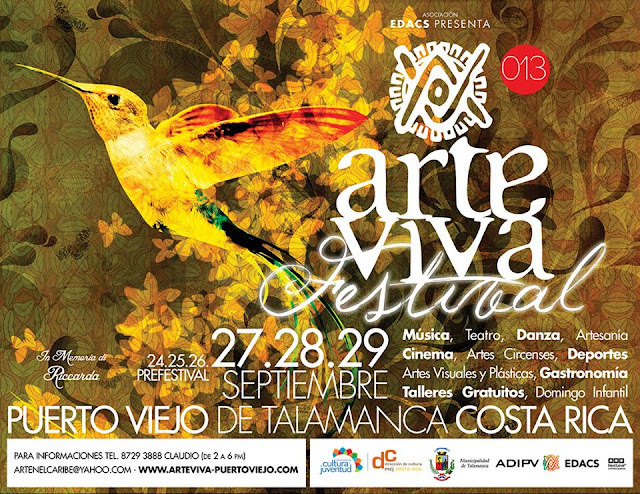 There's something for EVERYONE in the various parts of Escazu!! Helping your pet feel secure while you're away! Sharing Magic Hands and giving LOTS of LOVE and attention to your pets! Loving Your Pet House Sitting is especially for owners that see their pet as family members and want them to receive a LOT of love and attention while they’re away! I give everything from 2-10 Doggie/Kitty Massages a DAY, a warm Bath the day you arrive, Daily Skype calls (so you can see/talk to your baby), they even get to Sleep with me if they need to! Do you have a pet that freaks out from thunder or fireworks?? I SPECIALIZE in helping them calm down!! Christmas and New Years we prefer to help pets that freak out with fireworks – to give them the extra attention they need! I and some friends have things for sale here. Tourism IS DOWN and Costa Rica IS seeing LOTS LESS tourists! ‘Will that bring you to your knees or will you be in Denial or will you just “visualize” them coming to you? Or will you be PRO-Active? Step-UP to the plate?!?! Jump on board before it’s too late??? Facebook IS THE place for FREE Marketing and promotion and I’m quite the Facebook Networker and have a VERY UNIQUE – MUCH more Detailed way of looking at Facebook•Marketing - so let me assist you in getting your point across and helping people find out about you and your area! Do you have a vacation rental Condo or Villa - or a Hotel? Could you use some suggestions on how to stand out even more to the gringo clientele or help with marketing/promotions? Are you new to this - or - could you use some help making sure it's up to the rental markets standards? Are you sending good/clear responses? Do you have a contract that protects you? Are you listed in the key places and know other places to promote yourself? How's your Facebook Page (CRUCIAL)? I can also assist with end or beginning of the season Inventory, help create a Guest Book that has menus, lists of restaurants, tours, info they should know before they go and as many English-speaking contacts as we can find and lots more information! I've been in marketing/promotions/p.r. for over 30 years and tourism for over 20 years and I think outside the box!!! Consulting with and Connecting People to help fill their various needs around Costa Rica from Where to Find Things, How to Do Things, Relocation, Finding the Best Dentists, Travel Consulting, Shopping+++ and my LISTS!! and LOTS more information!!!!!!!!!!!!!!! I can even Connect you with Eastern/Holistic and Medical doctors and dentists and ALL sorts of other resources!!!! Pretty much – whatever you desire – I can at least try to Connect you! Bookmark it and keep checking back as this is an UNLIMITED page and I’ll push it to it’s limits!!!! Other boards – heck – the world these days – are FILLED with negative stories/experiences. Why not help add to some different energy! Post your POSITIVE stories, experiences, finds about life in Costa Rica! WOW!! Nicaragua is SOOOO MUCH CHEAPER than Panama and Costa Rica!!! I recently returned from what was SUPPOSED to be a 1-2 night Visa Run (you do NOT NOT NOT NEED to be OUT of Costa Rica for 72 hours – PERIOD!!!) that turned into 6 weeks in San Juan del Sur!!! Paul Kloes passed away in his easy chair on April 24, 2013 (he would have been 75 this birthday) - they say it was a heart failure in Pittsburgh, PA. PROFESSION: Career Air Force - Interpreter (Paul knew 7 languages fluently + 5 additional). HISTORY•LIVED: Costa Rica, Germany, Japan, Turkey, Alaska (5 miles from Russia so he could TRULY “see Russia” from his front door), Florida, Virginia, New Mexico. If anyone would like to reach any members of Paul Kloes' family, please contact Paul sister Lois Ann (email above) and she'll forward it. Did you know Paul? Do you have any stories to share? More info on him to fill in more blanks? Please share this with everyone you know that knew Paul! 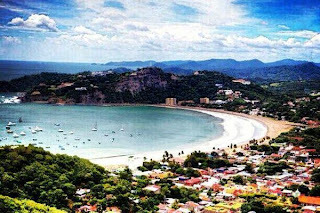 Time Out Tavern former Owners opening new restaurant in San Juan del Sur, Nicaragua & seeking help with Crowd Funding!!! Were you a fan of, dined at, or ever celebrated a wonderful Americana holiday dinner at TIME OUT TAVERN Sports Bar and Restaurant in Escazu, Costa Rica? and they can use some help getting it off the ground so they've launched a Crowd Funding campaign to help raise some $$$ & they even have someone to match some of the donations that come in between now and Saturday night!!! Please consider donating ANYTHING!! Every $5+ helps AND adds up!!! Know any U.S. Citizens that have RENOUNCED their U.S. CITIZENSHIP?? A Reporter wants to interview them! is looking to interview them. Please "SHARE" this with anyone you feel might be able to help! Centro, San Felipe, La Aurora, Tejarcillos, San Josecito, Calle El Alto, Concepción, El Tejar. Novedades, Alpino, Méndez, Los Ángeles, Tolima, Maiquetía. Centro, San Rafael, Guachipelín, Loma Real , Vista Real, Real de Pereira, Pinar del Río, Multiplaza, Cima, Office Depot, Price Smart, Corazón de Jesús, Carrizal, Pájara Pinta, Rosalinda, Bello Horizonte, Anonos, Trejos Montealegre, Maynard, Los Elíseos, Altos de Bello Horizonte, Santa Teresa, Profesores, Santa Eduviges, Vista de Oro. Centro, Don Lalo, Gavilanes, Concepción, La Chispa, Pozos, Obando, Valle Soleado, Lajas, Casa Blanca, Calle Pilas. Chance (his new name) was found outside the Moralva Veterinary Hospital this morning after having been hit by a car on Sunday. An xray confirmed his leg is not broken but he can not walk on it yet and needs to take medicine for a couple of days. He has been treated with Frontline and has had vaccinations but needs a safe, caring home to recover for a short time until a forever home can be found for him. Chance is friendly, about 2 years old and weighs maybe 25 pounds. Can someone take him in for a bit? 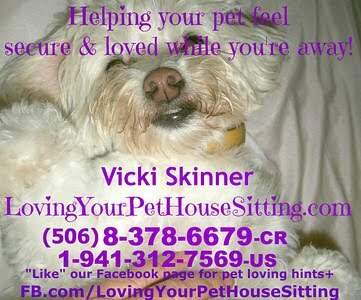 I will cover all food and any additional veterinary costs while in your care. AMERICANS RENOUNCING THEIR CITIZENSHIP - Up SIXFOLD!!!! Americans renouncing U.S. citizenship surged sixfold in the second quarter from a year earlier as the government prepares to introduce tougher asset-disclosure rules. Expatriates giving up their nationality at U.S. embassies climbed to 1,131 in the three months through June from 189 in the year-earlier period . . .
AmaTierra Retreat and Wellness Center in Turrubares, Costa Rica. 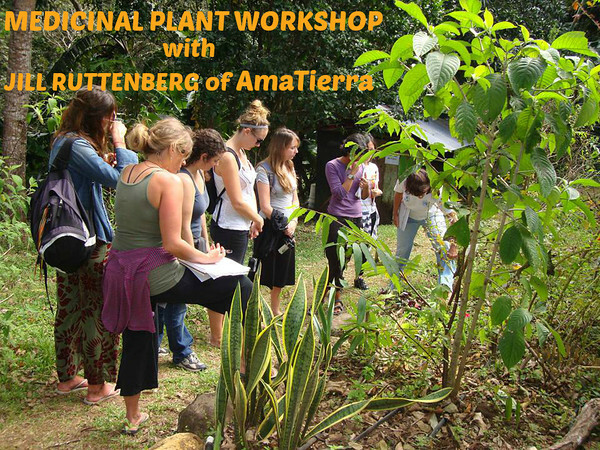 Have fun in this interactive workshop, designed for plant lovers, and people who want to learn about herbal medicine to enhance their health and the health of their loved ones. Learn how adding simple herbs/spices to your food can reduce inflammation, strengthen immunity, ward off illness and aid digestion. Private consultations can also be scheduled. Please "SHARE" this link with anyone you feel would enjoy it!!! FREE calls to Costa Rica Landlines & another promo - FREE calls to many countries including the U.S. on SKYPE!! Want to stay in touch with your friends in Costa Rica and other Latin American countries?? Skype.com is also offering FREE CALLS for 1 month to 10 countries within Latin America (well - Argentina, Brazil, Chile, Colombia [excludes rural areas – LEX], Costa Rica, Mexico, Panama, Paraguay, Peru and Venezuela)!!!! This is ONLY good on calls to LANDLINES - NOT cell phones!!! AGAIN - ONLY good on calls to LANDLINES - NOT cell phones!!! This promo is good for landlines in: Argentina, Australia, Austria, Belgium, Chile, Croatia, Czech Republic, Denmark, Estonia, Finland, France, Germany, Greece, Hungary, Ireland, Israel, Italy, Japan, South Korea, Luxembourg, Malaysia, Netherlands, New Zealand, Norway, Poland, Portugal, Russia (Moscow and St. Petersburg only), Slovakia, Spain, Sweden, Switzerland, Taiwan, United Kingdom and Venezuela. AND calls to landlines AND CELL PHONES in: Canada, Guam, Hong Kong S.A.R., Puerto Rico, Singapore, Thailand and United States. PLEASE "SHARE" this with all your friends that live in one of these countries or have friends in them!!! Anyone Driving from Grecia to Escazu on Wed. (or Tues.) - Aug. 21/20 - I can catch a ride with? (or Tues. August 20 if need be)? I've got some last minute errands to run in Escazu before my trip back to the States and I'm currently in Grecia & I was wondering if anyone is Driving FROM Grecia (or Santa Ana or even San Jose if I can't get to Escazu) - TO Escazu THIS Wednesday (August 21) (or Tues Aug. 20 if need be) that I could catch a ride with & of course contribute towards gas & tolls?? IF need be, if someone was doing a quick/turn-around trip I COULD go tomorrow August 19, 2013 with you as long as I'm at Banco Nacional in Centro before BNCR BY 2:30pm-ish. I can't take the bus as I'll be shlepping a few bags of stuff with me. Please "Share" this with anyone you know that might be able to help!!! THANX!!! 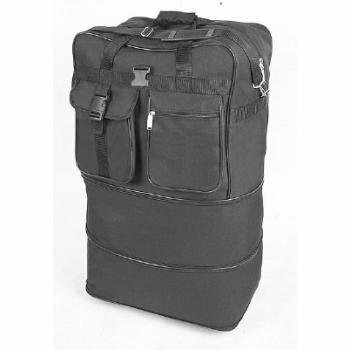 Does anyone have one (or more as we NEED a LOT) of those Large Rolling Wheeled Duffel Bag's that unzips a few times to expand to BIG & squishes down to put inside another suitcase? I'm looking to borrow it from this coming week till around mid-Sept. as I'm going back to Portland, Oregon to help a friend move to CR. I can have a friend pick it up within the Central Valley though IDEALLY IDEALLY Grecia & Escazu - or between Atenas & San Jose & Ciudad Colon & San Jose. "Mule" Available - Do YOU need something taken BACK to the U.S.? I'm heading back to the U.S. (Portland, Oregon) THIS WEEK so if you have anything that needs to get back to the U.S., I have some space in my luggage GOING to the U.S.
(I'm bringing my friend and all his life/possessions back to move to San Francisco - de San Isidro - de Grecia, so no room to bring anything back for anyone else). I'm in San Isidro de GRECIA till Tues. or Wed. and ESCAZU on Wed. and withOUT a car so YOU'LL need to bring whatever to me. "NEW THOUGHT" - Vicki's Spiritual Beliefs•KNOWING & a link to an introduction to the new movie "NEW THOUGHT MOVIE"
"A Look at What Is New Thought"
So here's a COOL NEW MOVIE on it!! OutTakes from "What Is New Thought?" (it's a GREAT FB page with LOTS of other info on it!! Do you have similar beliefs to SOM•Centers for Spiritual Living??? E- me your contact info and where you are at SarongGoddess@gmail.com so we can stay in contact if we start another Study Group!!! If you share general feelings like on the movie, share below in the "Comments" and maybe you can find other like-minded people to CONNECT with!! in downtown San Jose ALWAYS has a bunch of varieties, flavors, spiciness!! Every time I've looked for it at Saretto's in Escazu, they had it. Sometimes AutoMercado has it but - this IS Costa Rica so it's a hit or miss!! Ancyfer sells Miso in San Jose. It's a great option for Asian products. 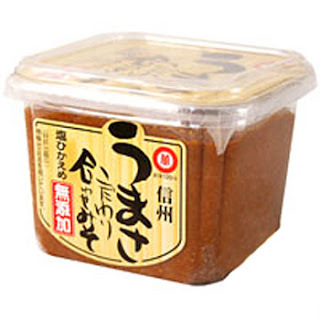 Where have YOU found Miso in Costa Rica? Has this entry helped you in any way? (top left corner) - to help keeping this DETAILED style information going!! ANY size is GREATLY APPRECIATED since what we receive here is our only income these days!! THANX!! The 2nd annual Burning Man for Costa Rica. Here will be a small 3,000 colone per day "membership fee" to cover the cost of the sound system and electric. If you have black plastic or tarps it would be a GREAT idea to bring some. We have LOTS of bamboo if any one wants to come early and build a Tepee village. Nothing will be for sale. This is a decommodified event, meaning no commercial sponsorships, transactions, or advertising or any kind. Gifting is the way things will be done here. Not sure what those 10 Principles of Burningman are? Laughing Gecko is not charging for use of the venue for this festival, however to cover the costs of electric, equipment rentals, and site preparation and to keep the event a NON-commercial festival, and in keeping with the idea of a membership community, Finca Amanecer has DAILY MEMBERSHIPS available at $5 a day in advance and 3,000 colones at the door... yea, I know not free, but WAY cheaper than Burningman right! Those who wish to really "create community" may arrive a week early and help build the "dance temple" or help with the Effigy, and there is lots of bamboo if you wish to create a tepee village. Come early and help create it. This is YOUR festival. whom would YOU like to invite and what workshop would YOU like to lead? There will be an open-mic signup, but yes, a line-up / schedule will be made available as it comes together. 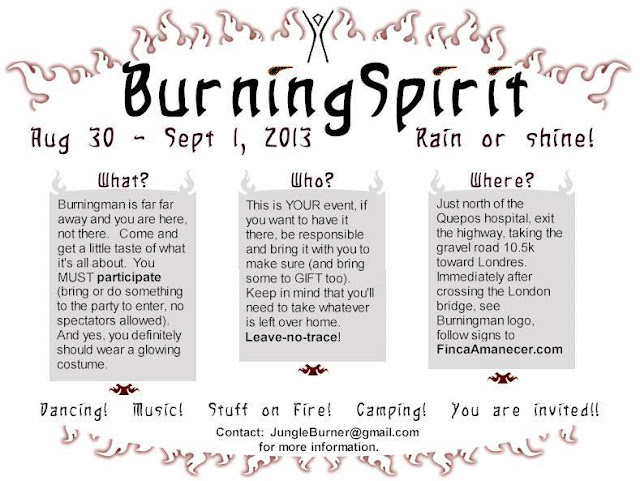 Will there be art at Burning Spirit? Good question! Yes, when YOU bring your art, or your raw materials and tools and make the art there will be. Any type of art is exactly what you should bring, this is the venue for exposing people to the awesome things you do... whether it's a poetry reading, juggling act, martial art exhibit, exotic yoga flow, spoken word, painting, wood carving, comedy act, fruit carving, or anything else that shows your creative side. The largest selection of gringo products/things from the U.S. (hence higher prices of course). NICE store with a GOOD butcher department for meat (packaged OR - ASK for the quantity YOU want!!) and seafood (the BIGGEST selection of seafoods!! )(I WOULD buy my meat here!!!!). They also have frozen KOSHER MEATS. GREAT for gringo HOLIDAY fixin's like Turkey, Stuffing, Pumpkin Pie Mix (year-round), cans of Cranberry (year-round). VICKI'S AUTO MERCADO FAVORITES - Amaretto Liquer Cake (BEYOND Linguasmo!! Also Jamaica Rum, Black Forest and Contreau), MALTED (for Malted Milk!!)!!!!! Ben and Jerry's Ice Cream (though this varies from $7-$10 for a PINT!!! But sometimes ya just GOTTA HAVE IT!!). 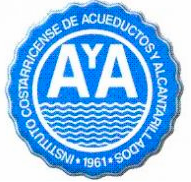 STORE CARD - Auto Frecuente Club gets you a small rebate after you've accumulated a certain amount (YOU have to ask for it) plus I hear they it’s also good for some other businesses. SPECIALS: Looks like they have special 25% discounts on Thursdays on some things. HOURS: Monday-Saturday•Lunes-Sabado - 8am-10pm. Sunday-Domingo - 8am-8pm? HOURS: Mon.-Sat. 7am-10pm, Sun. 8am-??pm. LOCATION: on the road heading towards the Airport - Frente a Residencial Lindora, radial entre Santa Ana y San Antonio de Belén. HOURS: Mon.-Sat. 7am-10pm, Sun. 8am-8pm? 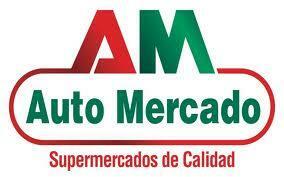 Auto Mercado supermarket chain has announced the opening of 18 “Vindi” convenience stores before the end of 2013. Wireless data and communications providers in Costa Rica spent almost two years in a relative state of post-monopoly peace. That changed a few days ago, however, with an announcement by former communications monopoly ICE with regard to its prepaid wireless rates. The cost of using ICE’s extremely popular Short Message Service (SMS) went up by almost 100 percent, which means it now costs three colones (not even a U.S. penny) to send a text message to another cell phone in Costa Rica. Many smartphone users in Costa Rica initially shrugged off the rate increase; they thought they could always use mobile apps such as WhatsApp, Skype or online social networks to communicate via wireless broadband without having to send text messages or even use airtime minutes. Doing this, however, will probably consume their prepaid amounts even faster since they found out that, from now on, they will be charged for every kilobyte used. Spanish mobile carrier Movistar was quick to follow in ICE’s footsteps insofar as text messaging, but it drew the line at raising its wireless Internet fees. Claro had already beat both ICE and Movistar in this regard, as it had tacitly raised its prepaid rates weeks before. As it stands, Movistar’s wireless Internet data rates for prepaid customers are looking better than ICE, and very similar to Claro. There is no doubt that the three major wireless players in Costa Rica are waiting on each other to make the next move. There is a referee setting the rules of engagement for this mobile communications combat. The Superintendency of Telecommunications (SUTEL in Spanish) is the government entity in charge of setting limits. For example, the three colones rate for each text message sent by wireless prepaid customer is the maximum allowed by SUTEL, and Claro was the first to take advantage of it. ICE eventually caved in with its big announcement, quickly followed by Movistar. Although the SUTEL sets the pace for the combatants to engage in business battles, there is one more regulatory entity that can trump the wireless carriers and even the SUTEL: The Regulatory Authority of Public Services (ARESEP in Spanish). This agency is not in step with the SUTEL and has already warned ICE about raising its fees again. The ARESEP sees wireless services as either telecommunication or information services, and it vows to keep communication fees down while allowing mobile service providers to charge as they please with regard to information services. SUTEL, on the other hand, wants to make SMS a communications-only service, which will allow them to prevent further increases. ICE has thus far shown greater interest in being aggressive with regard to pricing. Claro tends to test the waters and stay just under the limits promulgated by the SUTEL. Movistar follows ICE’s cue. The casualties of this war are the consumers since the wireless landscape is becoming confusing. ICE would like to convert many prepaid customers into monthly subscribers, and they are trying to do so by pressuring them with their prized wireless Internet service. Claro and Movistar are not quite ready to handle many subscribers, and for the time being they may realize greater profits with prepaid accounts. ARESEP has the power to undo rate increases and can even influence the market with certain measures. For the time being, however, regulators are waiting to see how the three wireless service providers handle upgrades such as mobile telephone number portability and 4G technology. The most significant aspect to watch will be how SUTEL and ARESEP react to the double-digit growth of mobile Internet use in Costa Rica. According to a July article in business weekly El Financiero, Movistar estimates that 83 percent of all its customers are Internet users, and 50 percent access online services via smartphones. Many of these wireless Internet customers, however, use their mobile devices as modems. They take advantage of unlimited wireless data plans to download films, play video games, stream audio, and make video conferencing calls. For these users the status quo is ideal: They can take up as much bandwidth as they want for one low, prepaid rate. The problem with this situation is that these data-hungry users are saturating the network and moving providers to raise their fees and meter their networks. Again, the wireless carriers would like to convert these prepaid Internet junkies to subscriber models where they will pay a little more to download all they want; but, the regulators are concerned that ICE, Claro and Movistar may just want to entice prepaid customers to subscribe now just so they can downgrade their services and increase their fees in the future. The U.S. Embassy in San Jose informs U.S. citizens residing in or visiting Costa Rica that the Costa Rican Ministry of Health has declared a health alert due to an increase in dengue fever cases. We recommend that U.S. citizens traveling to or residing in Costa Rica monitor the Center for Disease Control website, the Costa Rican Ministry of Health website, and local Costa Rican news reports for the most current information. Dengue fever is a mosquito borne viral illness. It is spread by the Aedes Aegypti mosquito which can bite both during the day and at night. This mosquito can bite a person more than once or bite more than one person before finishing its meal. The symptoms of dengue fever usually appear about 5-7 days after the infecting mosquito bite. There is a blood test to diagnose dengue but it is not accurate until almost a week after the symptoms appear. Therefore, anytime you think you have symptoms that might be dengue fever, seek medical attention for an evaluation. In rare cases, ordinary dengue fever can become severe dengue fever (or hemorrhagic dengue fever) which is a serious and potentially life threatening complication. If a child or an adult has the more severe form, dengue hemorrhagic fever, the symptoms include, for example; easy and continuous bruising and bleeding, displacement of fluid from the circulatory system to other spaces like the lungs and abdomen, and a subsequent drop in blood pressure and shock. In the severe form of dengue the illness is very obviously serious. HOW DO YOU TREAT DENGUE FEVER? Because it is caused by a virus, there is no antibiotic to cure dengue. The treatment is symptomatic - FLUIDS, FLUIDS, FLUIDS rest and Tylenol (acetaminophen, panadol, parcetamol) according topackage instructions for fever and aches. DO NOT use Ibuprofen (Motrin, Advil), Aspirin, or other NSAIDS (naproxen, Aleve, ketoprofen) if you think you or your child may have dengue. If there is easy and continuous bruising and bleeding, swelling, severe weakness or other signs of severe (hemorrhagic) Dengue Fever, go to the emergency room at once. HOW DO YOU PREVENT DENGUE? There is no vaccine or preventative medication to decrease your chance of getting dengue fever. The best way to avoid getting sick is to prevent or minimize your exposure to mosquito bites. • Apply DEET containing mosquito repellent according to label instructions. Use DEET insect repellent liberally, both when indoors and outdoors. • Eliminate all breeding sites at residences: Remove all standing water from gardens, drains, gutters and any place in or around the house. • Use larvacide in outdoor laundry areas, especially if your sink contains water open to the air. A good larvacide is Abate. For more information on the disease, please visit the Center for Disease Control’s website at Center for Disease Control Website. We strongly recommend that U.S. citizens traveling to or residing in Costa Rica enroll in the Department of State's Smart Traveler Enrollment Program (STEP) at Smart Traveler Enrollment Program. STEP enrollment gives you the latest security updates, and makes it easier for the U.S. embassy or nearest U.S. consulate to contact you in an emergency. If you don't have Internet access, enroll directly with the nearest U.S. embassy or consulate. Regularly monitor the State Department's website at Department of State Website, where you can find current Travel Warnings, Travel Alerts, and the Worldwide Caution. Read the Country Specific Information for Costa Rica at Country Specific Information. For additional information, refer to "A Safe Trip Abroad" on the State Department's website. Contact the U.S. embassy or consulate for up-to-date information on travel restrictions. You can also call 1-888-407-4747 toll-free from within the United States and Canada, or 1-202-501-4444 from other countries. These numbers are available from 8:00 a.m. to 8:00 p.m. Eastern Time, Monday through Friday (except U.S. federal holidays). Follow us on Twitter at ACS Twitter and Facebook at ACS Facebook, and download our free Smart Traveler iPhone App at Smart Traveler iPhone to have travel information at your fingertips. The U.S. Embassy in San Jose is located at Av. O Calle 120, Rohrmoser. If you are a U.S. citizen in need of urgent assistance, the emergency number for the U.S. Embassy is 2519-2000. Please forward this to everyone you know living in or visiting Costa Rica!! AUGUST 15 - NO VEHICLE RESTRICTION in Downtown San Jose, Costa Rica because it's Dia de Madre•Mothers Day. Thursday - AUGUST 15, 2013 - VEHICLE RESTRICTIONS in San Jose, Costa Rica are NOT active because it's Dia de Madre•Mothers Day. NOTE that the Government and banks will be closed, MANY businesses WILL be closed and if a restaurants is open, most likely it WILL be PACKED•BUSY!!! It's one of the many NATIONAL HOLIDAYS which means a mandatory day off for employees OR if they are working, you get to pay them DOUBLE PAY!!!! People take this Mother's Day thing VERY SERIOUSLY in Latin countries and Costa Rica is no exception to that!! "Educational Challenges in Costa Rica". Holiday Inn in downtown San José, 3rd floor. I will be talking about all levels of education, public and private. How about an introduction to the talk like this? "100% of Costa Rican children attend primary school, but only 10% end up graduating from college. Learn what happens to generations of children down the educational pipeline as a consequence of faulty public policies that perpetuate inequality and poverty." Silvia Castro is President and Provost of the Universidad Latinoamericana de Ciencia y Tecnología (ULACIT), a private university in San José, Costa Rica. She obtained her doctorate in Higher Education Management from the University of Pennsylvania and her master’s degree in Education from Harvard University. She also graduated from Georgetown University’s School of Foreign Service in the field of International Politics, Law, and Organization. Ms. Castro is certified in Design of Interactive Multimedia for Instruction from Columbia University and in Latin American Studies from Georgetown University. She is a columnist for Periódico La República. She also chairs the International Education Task Force at AMCHAM and is an active member of the CPC (Consejo de Promoción de la Competividad) and the AED (Asociación Empresarial para el Desarrollo). She has been teaching at the university level for over 18 years and has served as an international consultant for organizations such as the Educational Testing Service (ETS) and LASPAU-Harvard. Her interests include metalsmithing and photography. Please "Share" this with everyone you know that might enjoy it!! !